Plant Environment: Does well in a sunny location with well drained soils. Drought tolerant once established. 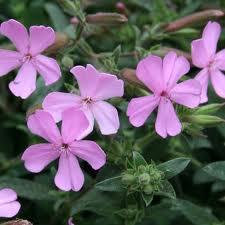 Plant Bloom: Flushes bright pink spring blooms then flowers sporadically throughout the summer months. A delightful durable perennial that works well in rock gardens, wall settings or as an underplanting for tall perennials or shrubs.